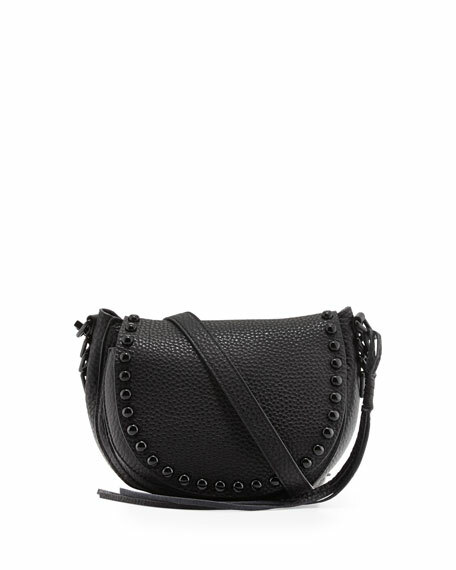 Rebecca Minkoff pebbled leather saddle bag. Tonal hardware including stud trim. Tassel detail hangs from side. 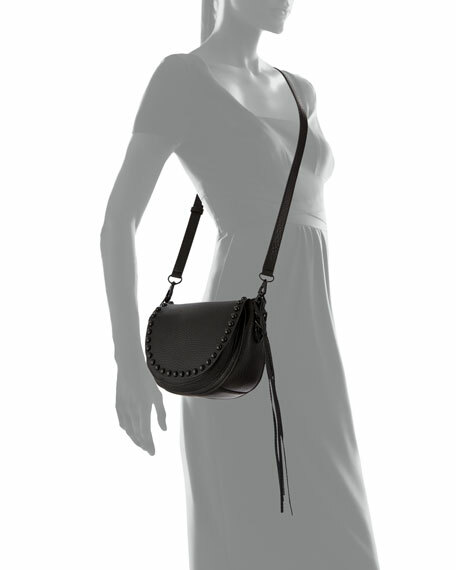 Rounded flap top; open pocket under flap. For in-store inquiries, use sku #1631830.